Besides a rare example of a non-personalized autograph, Johnson’s Baseball Almanac page is filled with gems you won’t find anywhere else. Bookmark the Almanac, and visit before you send your next player letter! 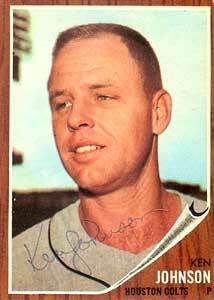 Pitcher Ken Johnson died on Nov. 21 at age 82. I was intrigued by Johnson’s obituary. 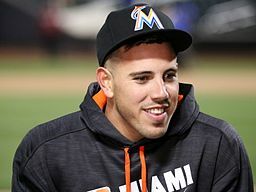 Baseball was a huge part of his life. So was his religion. I’d guess that someone who combined both passions in one letter might have hit the jackpot. 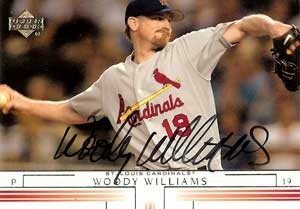 Johnson’s TTM responses listed on the amazing www.sportscollectors.net showed a spiffy 93 percent success rate. 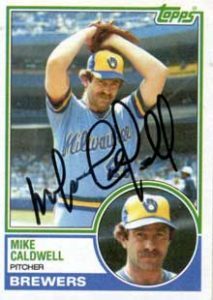 His signing stopped in 2014, when Mrs. Johnson started writing collectors that Ken’s Parkinson’s disease made writing impossible. 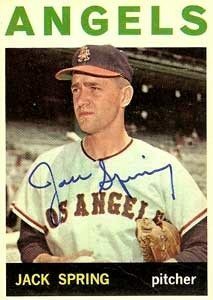 A few collectors grumbled through the years that Johnson’s insistence on personalizing autographs was done to make the signatures harder to sell online. Maybe. Or, he read every letter and wanted to thank everyone who wrote? He was answering questions for collectors. I think he cared about who wrote. I love the Baseball Almanac website. It’s like an autograph museum! Pitcher Jack Spring died in August at age 82. I received a brief reply from him in 2010. Note that he wasn’t sending items back blank. Nor did he ask for a cash payment for autographs, even though he had medical costs to consider. Until the end, Jack Spring reminded fans and collectors that we matter.